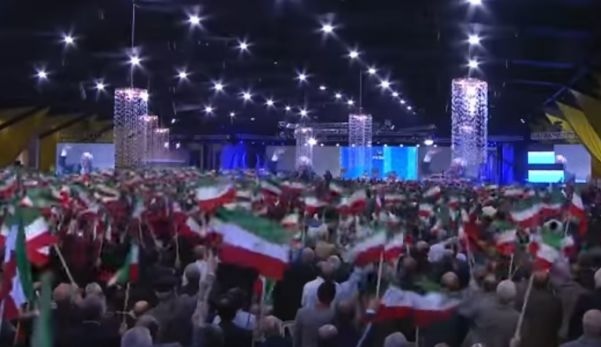 With a super organization, in total secrecy, 3,000 members of the Iranian opposition, mujahedins who are in Albania, Tirana celebrated the Persian new year, known as Nevruz. Initially they expressed gratitude in Albanian for the Albanian hospitality, represented by well-known political figures like Pandeli Majko, Fatmir Mediu and Elona Gjebrea, cheer as sultans for Novruz. Also, at the event was present the head of the Church, as a sign that the 3,000 Iranians gathered were opponents of Ayatollahs regime. But what turned the atmosphere into enthusiasm was the leader of the Iranian resistance. 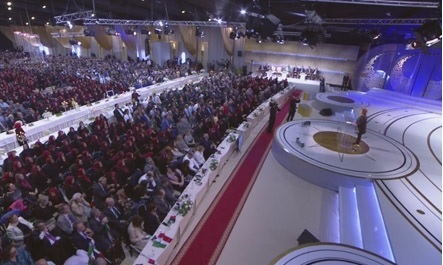 Maryam Rajavi, who lives in France, from several days is in Albania to take care to organize this mega-event. In fact, the main fear of the Ayatollahs regime is precisely this enthusiasm, who can create a strong political party, especially with the support of the international community. "Today, Ayatollah Khamenei faces three major problems: first, the fear of the resistance of the Iranian people; Second, the US policy in the region, which has seriously alarmed the regime; and thirdly, the dilemma over Khamenei's successor, which has led to a deep crisis of the regime. Western governments should not swallow the froud the regime, farce elections and the victimization of the Iranian people. The Policy of returning the head sideways when it comes to human rights, freedom and resistance can not continue," said Rajavi. But so far, but America, the strongest support them has given the little Albania. "Over a 3-year period we came in an excellent cooperation with our partners, to arrange the operation of moving the 2,500 MEK members, with a perfect coordination, without a single incident. And today we are all here," said Deputy Interior Minister, Gjebrea Elona. Present at this festive rally held in Tirana were prominent figures from the United States and France, two countries that have helped Albanian to move 3,000 mujahideen from Liberty Camp to Iraq toward Albania.